In what should appear as a weird development, the Gujarat government wants the state industries department to handle applications with pleas for appointing the lowest category of Dalits, Valmikis, involved in manual scavenging, as priests in temples. 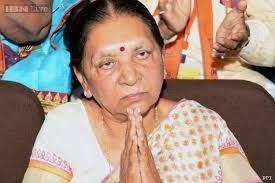 This has come to light in a letter from the chief minister’s office (CMO) to senior Dalit rights activist Rajesh Solanki, who wanted Gujarat chief minister Anandibecn Patel to make the important change. Solanki had pleaded that Valmiki Dalits should be appointed priests in major Gujarat temples. Revealing this, the CMO says, all pleas on priesthood to Valmiki Dalits should go to the state industries department directly. A copy of the letter, addressed to Solanki, has been forwarded to additional chief secretary, industries, Gujarat government, D Jagatheesa Pandian, with the the instruction to “handle” the plea for priesthood to Valimiki Dalits. Solanki wanted the Gujarat chief minister to come up with two Cabinet resolutions on this. Solanki said, the first Cabinet decision related to appointing Valmiki Dalits as priests (pujari) in five prominent temples of Gujarat -- Ambaji, Chotila, Bahucharaji, Dwarka and Somnath. The second one was regarding stone laying foundation ceremony (bhumi poojan), with a minor Valmiki Dalit girl formally asked to conduct play the key role. “On July 25, 2014 CMO replied telling me that my both the letters had been forwarded to additional principal secretary, industries and mines”, Solanki said. Solanki expressed surprise that instead of taking any decision in the Cabinet, “her office sent my letters to the industries and mines department, which has nothing to do with the subject.” What is particularly “shocking”, Solanki added, is the fact that the industries and mines department was asked to take care of all plea “as per the rules.” This, he added, prompted him to write yet another letter to the Gujarat chief minister, reminding her of why priesthood to the Valmiki Dalits was so important to end untouchability practices. The letter said, Maharaja Sayajirao Gaekwad and Dr BR Ambedkar had demanded abolition of hereditary priesthood among Hindus, but no political party had so far dared to do this. “For decades, the BJP accused the Congress of playing vote bank politics. The Congress had its own Harijan cell. The BJP formed Anusuchit Jati Morcha. But, the BJP is not different than the Congress. BJP is not able to push social reforms among the Hindus. The BJP is interested only in instigating the Dalits against the Muslims”, Solanki said. The move by Solanki -- who represents the Dalit Hakk Rakshak Manch (DHRM), a Dalit rights NGO in Ahmedabad -- comes more than a year after the state government under Narendra Modi came up with what was then described as “unique idea” of training manual scavengers in Hindu religious rituals. The Valmikis were learn Vedic rituals at institutions like Sola Bhagvat Vidyapith and Somnath Sanskrit University. Even Rs 22.50 lakh was aside for this in the budget for 2013-14. Critics said, such priesthood meant little to abolish caste-based manual scavenging.